English: Scanned from a book dated 1900. 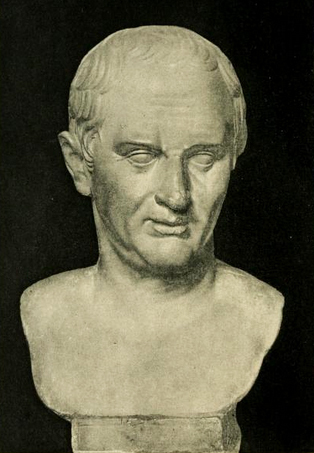 Original caption: "MARCUS TULLIUS CICERO. Photogravure from the marble bust in the Prado Gallery at Madrid. This is the most pleasing of all extant likenesses of the great Roman orator. It represents Cicero when he was about sixty years of age and at the zenith of his career." Presumably the bust is now in Madrid's Museum of Archeology, where most or all of the Museo del Prado's collection of works from Classical Antiquity were moved. المصدر from en wikipedia. Vintage public domain image found, scanned, and uploaded by Infrogmation. 00:34، 15 يوليو 2010 238 × 351 (17 كيلوبايت) Quibik Histogram adjustment and slight sharpening.